When do I need a tax attorney or a tax lawyer? The person who contacted me from the IRS seems very nice. Maybe I should just deal with him myself rather than hire a tax attorney? Will the IRS agent be mad if I hire a tax lawyer to represent me? Do I need a tax attorney to represent me, rather than an accountant? The IRS employee handling my case isn’t being reasonable. Can I get my case transferred to someone easier to deal with? Is the United States Tax Court part of the Internal Revenue Service? What can Cause an Investigation by the Office of Professional Responsibility? 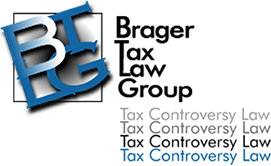 Why Hire a Tax Litigation Lawyer? How to Limit Your Tax Penalties for Failure to File What is My Last Known Address, and Why is it Important? What is the Foreign Account Tax Compliance Act (FATCA)?